Some people are so obsessed with something. I was astonished to find out that these are the people who have whole MAC/apple in collection manufactured till date. 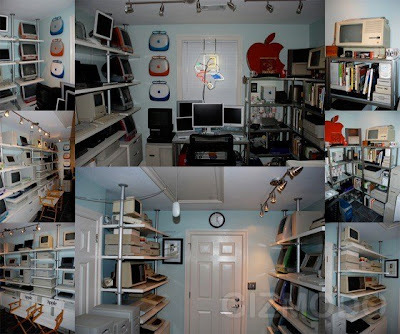 They are so obsessed with it that they've converted their living house into Mac Museum. Never seen this much obsession or madness for particular brand. Here is Jame's podcast . If someone is equally interested, he/she can check this other two sites too. Jeremy's and JD's. All mac fans.